If you were to muse on the contribution of Japan to world literature in the 20th century, a host of authors’ names — from Soseki to Tanizaki, from Endo to Murakami, from Akutagawa to Kawabata — might come rushing to mind. Yet you might not realize that one of the most revolutionary moments in modern world literature occurred in Japan, but involved not a Japanese, but the most celebrated of all modern Chinese authors. The scene: a biology class at Sendai Medical College in January 1906. The lecture finished, some lantern slides of photographs from the recent Russo-Japanese War that had raged in northeastern China were shown to medical students. In one of the slides, Chinese bystanders apathetically surrounded a Chinese prisoner about to be executed as a traitor for providing information to the Russians. The Japanese classmates shouted and whooped “banzai” in approbation but, seated among them, a solitary Chinese student secretly burned with shame at the sight of his countryman humiliated in this way. What particularly appalled him was the attitude of the Chinese onlookers in the image who, though physically fit, seemed spiritually diseased. Common medicine, the Chinese student realized, was never going to change this situation. What his countrymen needed was spiritual medicine. In that moment, he realized he needed to dedicate himself to something that would truly enlighten and modernize his nation: literature. 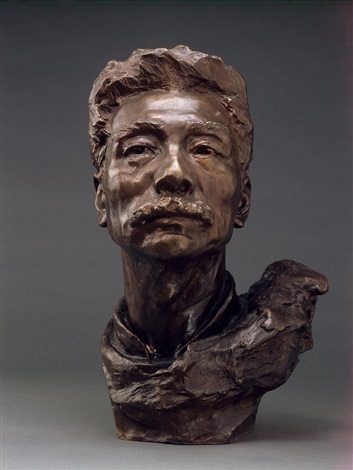 That student was Lu Xun, now widely regarded as the most important writer of modern Chinese literature, commemorated with major museums in both Beijing and Shanghai. He was born in Shaoxing in 1881 and died in Shanghai in 1936, and is best known for his savage satires on the plight of his native China in the early 20th century. In his short stories “A Madman’s Diary” (1918) and “The True Story of Ah Q” (1921), Lu penned his devastating critiques of the disappointments of the Xinhai Revolution of 1911 and China’s ongoing social malaise. He also wrote many wonderful stories looking back to his youth in rural China, such as “Nostalgia” (1909), in which his childish imagination is terrorized by Confucianism and thrilled by his house servant’s memories of the Taiping rebels, or the affecting portrait of a destitute, petty scholar in “Kong Yiji” (1919). But it was Japan that unleashed Lu’s literary talent. As a young man, he was dismayed by some of the practices of traditional Chinese medicine and determined that he would bring the enlightenment of Western medicine to China. He arrived in Japan to study medicine in 1902, aged 21, and after concentrating on learning the Japanese language, proceeded in 1904 to Sendai Medical College. Yet by 1906, Lu had abruptly abandoned those studies. Whether the lantern slide incident was the actual trigger or a bit of later self-mythologizing is hotly disputed, but what is clear is that Lu began proposing a radical new agenda: Literature was a nation’s true medicine. Why literature and not philosophy or politics? And what prompted him to turn to literature that year? The answer can be found in Japan’s own relation to literature, which was a relatively new and revolutionary concept in Japan in 1906. People had of course been writing plays, poetry and entertaining stories since ancient times, but the notion — imported from the West — that these could be collectively grouped together and comprise a discipline worthy of the profoundest contemplation was a new one in Japan in the late 19th century. Lu had arrived in Japan when it was in the grip of this literary renaissance. Deeply disillusioned with the stifling influence of Confucianism on his return home, Lu’s first attempt to bring literary enlightenment to China was not to write his own stories, but to translate into Chinese, often via the medium of Japanese or German, stories from Britain, America, France, Finland and many countries of Eastern Europe. But his 1909 collection, “Tales from Abroad,” managed to sell just 41 of the 1,500 copies printed. Among his later translations were pieces written by Natsume Soseki and, partly inspired by Soseki’s memoirs of Britain, in 1926 Lu penned a memoir of his instructor in biology in Sendai called “Fujino Sensei” in which he recounts how Fujino went to the trouble of personally correcting Lu’s weekly lecture notes. In a famous parting scene, which has captivated the imaginations of Japanese readers ever since, Lu describes being called to his Japanese tutor’s house and receiving a photo of Fujino Sensei with the kanji characters, “sekibetsu” (sadness of parting) written on the back. After returning home to China in 1909, Lu hung it in pride of place on the east wall of his study in Beijing — pointing toward Japan — and wrote that he gained constant inspiration from gazing at it. During the early decades of the 20th century, in which the Japanese Empire ever more strongly encroached upon China, the writings of Lu were a reminder of the close cultural ties and the warmth of human spirit that could exist between the two nations. Lu’s writings were first published as a collection in Japanese in 1924 and Rojin, as he is known in Japan, was nowhere greater appreciated outside of China than in Japan itself. Author Osamu Dazai wrote in 1945 a novel called “Sekibetsu” about Lu and, in 1991, the writer Hisashi Inoue published a play, “Shanghai Moon,” describing Lu’s deep friendship with the Japanese bookseller and publisher Kanzo Uchiyama in Shanghai in the 1930s. Lu even hid in Uchiyama’s bookshop in 1934 to avoid a round-up of left-wing writers. The sense of literary mission that Lu acquired in Japan never left him. The greatest change he effected was in shifting our understanding of the power and potential of literature itself, of pushing aside the pieties of moralistic philosophy, and presenting literature as something which can move nations, probe the human mind and be the hands-on, skeptical and ever-questioning application of human wisdom. Posted in Book Review, Books, Character and Integrity, History, Japan, Literature, Philosophy, Politics. I wish to present three perspectives of Islam concerning the concept of choosing a “leader” in Malaysia. 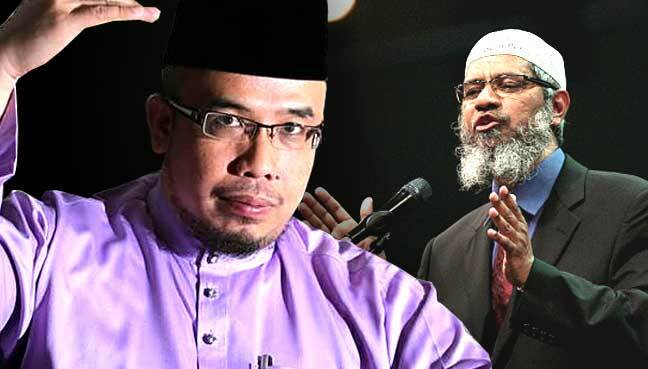 This article is inspired by Abdul Hadi Awang’s clarion call to Muslims to choose his narrow-minded brand of Islam, perhaps for the upcoming Cameron Highland by-election. 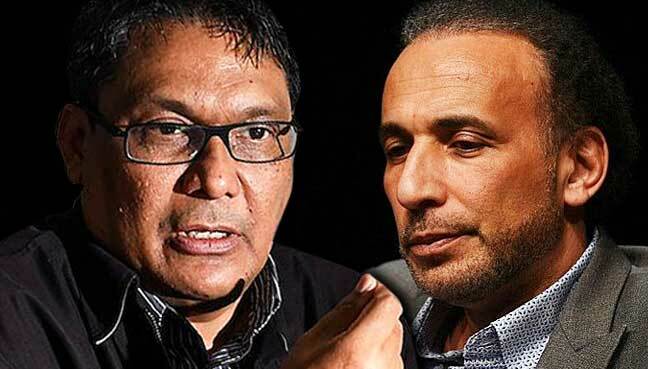 I will describe the views of Hadi, Perlis mufti Mohd Asri Zainul Abidin, and Muslim scholar Dr Farouk Musa, who heads the Islamic Renaissance Front (IRF). Each has given three different views of what is considered appropriate leadership within an Islamic framework of their choice. This article is specifically for Malaysians to contemplate the type of Islam existing in Malaysia that will determine the course of our nation in the coming decades. To Hadi, non-Muslims can NEVER be trusted at all, now and forever. To him, even if the non-Muslim looks “clean” he would eventually be corrupted simply because he is not a Muslim. Simple. Clear. Concise. At whichever leadership position there is, whether for a head teacher, an elected representative, a district officer, a minister, a vice-chancellor and especially, the prime minister, the choice must always and forever be Muslim, no two ways about it. It seems Hadi can clearly see the fate of everyone, Muslim and non-Muslim, because even the Prophet has said that no one knows their fate except Allah. In a lecture posted on YouTube, the Perlis mufti was asked whether one can choose a non-Muslim leader or not. To me, for Malays to be asking that very question speaks volumes about the failed state of our education system for the past 60 years. Asri gave what to me was a scholarly and clear answer. He firstly clarified that what is haram must be stated clearly, and anything that is not stated in the hadith and the Quran can be considered acceptable. Democracy has never been stated by the Prophet and by the Quran and so it is not haram to use such a system in choosing a leader by a one-man, one-vote system. Secondly, he said that the present administrative governance of the leadership in Malaysia is enshrined in the constitution and backed by the Malay rulers. Thus, the laws and guidelines for governance within a Malaysian-Muslim construct are well established and any different levels of leadership cannot decide willy nilly about any whimsical desire. A head teacher has an SOP, an elected representative has a certain responsibility and jurisdiction, a district officer has his or her regulated guidelines, and so does a minister. In that regard, a Muslim may choose anyone who is Muslim or non-Muslim for a position of leadership at any level except the topmost one, which is the prime minister of Malaysia. The third view is by far my favourite, the most radical and what I consider the most constitutionally correct. This view is propagated by Dr Ahmad Farouk Musa, a fierce critic of traditional and state Islam and a proponent of a modern and enlightened Islam for all. He says that a Muslim must never choose a corrupt, immoral and cruel leader just because he is a Muslim. A Muslim must subscribe to the principle of morality and justice for all by choosing someone trustworthy with the strength and will to do the right thing for all, at all times, regardless of faith, race or status. If the candidate is a non-Muslim then Muslims must choose him or her over a corrupt Muslim. It was fortunate that Barisan Nasional (BN) had a mutual understanding of electing leaders at all levels of governance by choosing citizens of various races, cultures and faiths. Malaysians must acknowledge the great debt we owe to BN for ignoring extremist views like those of Hadi. Truly Hadi’s view is destructive to all Malaysians and serves perhaps his egocentric desire for power and prestige as well as financial gratification. Thank you, BN! The choice of leadership modelled after the likes of Asri has been a precedent that Pakatan Harapan (PH) now emulates. Thank you also to PH for ignoring the views of the ulama who think they are the only ones capable of ruling over Malaysia with their limited education and framework of thinking. Hadi’s view is perhaps relevant for a small fishing community. However, the great problem that has arisen is that after the Islamic revival movement of the Abim/Ikram era, Muslims are more religious than the days of P Ramlee in the 60s and 70s. In those days, one out 1,000 Malays would pray regularly. Now one out of 100 Malays will not pray regularly. Most Malays pray and have access to speeches by narrow-minded teachers, who propagate the Hadi view of leadership. The proponents of this view are mostly in public universities holding positions of professors and associate professors. If I were to venture a figure in the 60s and 70s, 90% of Muslims would subscribe to the middle view of Asri and only 9% to Hadi and 1% to Farouk’s. Now, I would venture that 70% of Muslims are with the view of Hadi, 29% with Asri and 1% with Farouk. This breakdown will cost untold hardship in Malaysia’s political scenario. I would venture that my view and that of Farouk are 50 years ahead of time. The numbers supporting Asri’s view must turn to 70% if we are to move comfortably forward. If I were to be bold and venture a guess, 100% of non-Muslims would subscribe to Asri’s view of leadership because the non-Malays accept and respect the cultural leadership of the sultan and the history of Tanah Melayu as an important civilisation and heritage. Malaysians must understand that Asri is educating the Malays in a more moderate and progressive way, while Hadi seeks only discord and conflict as a political tool of power grabbing. What of Farouk’s radical view of Islam? Well, he and I can wait 50 years. 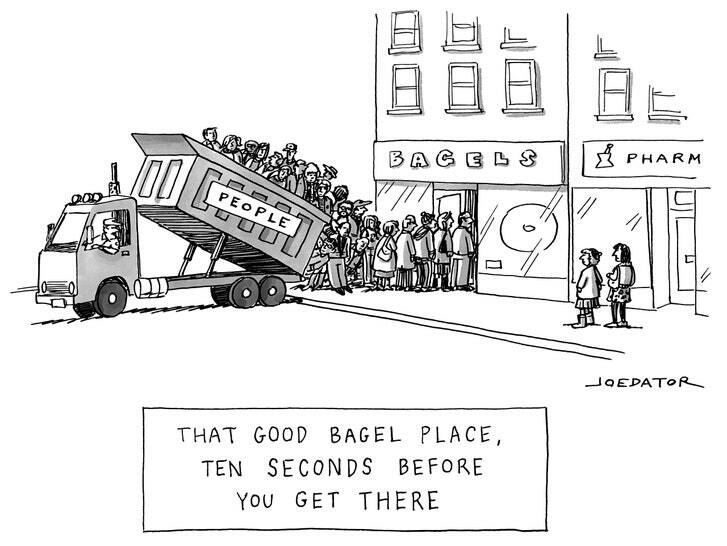 No hurry. Posted in Anwar Ibrahim, Azmin Ali, Character and Integrity, Civil Rights, Compassion and Pluralism, Corruption, Critical Thinking, Dr Mahathir, Freedom of X-pression, FreeMalaysiaToday, Human Rights, Malaysia, Najib Razak, Pakatan Harapan, Parti Pribumi Bersatu Malaysia, PAS, Philosophy, PKR, Political Islam, Politics, Religion and Humanity, Rule of Law, The Malays, Tun Dr Mahathir Mohamad, UMNO, UMNO Politics. American stories trace the sweep of history, but their details are definingly particular. In the summer of 1979, Elizabeth Anderson, then a rising junior at Swarthmore College, got a job as a bookkeeper at a bank in Harvard Square. Every morning, she and the other bookkeepers would process a large stack of bounced checks. Businesses usually had two accounts, one for payroll and the other for costs and supplies. When companies were short of funds, Anderson noticed, they would always bounce their payroll checks. It made a cynical kind of sense: a worker who was owed money wouldn’t go anywhere, or could be replaced, while an unpaid supplier would stop supplying. Still, Anderson found it disturbing that businesses would write employees phony checks, burdening them with bounce fees. It appeared to happen all the time. Midway through summer, the bank changed its office plan. When Anderson had started, the bookkeepers worked in rows of desks. Coördination was easy—a check that fell under someone else’s purview could be handed down the line—and there was conversation throughout the day. Then cubicles were added. That transformation interrupted the workflow, the conversational flow, and most other things about the bookkeepers’ days. Their capacities as workers were affected, yet the change had come down from on high. These problems nagged at Anderson that summer and beyond. She had arrived at college as a libertarian who wanted to study economics. In the spirit of liberal-arts exploration, though, she enrolled in an introductory philosophy course whose reading list included Karl Marx’s 1844 manuscripts concerning worker alienation. Anderson thought that Marx’s economic arguments about the declining rate of profit and the labor theory of value fell apart under scrutiny. But she was stirred by his observational writings about the experience of work. Her summer at the bank drove home the fact that systemic behavior inside the workplace was part of the socioeconomic fabric, too: it mattered whether you were the person who got a clear check or a bounced check, whether a hierarchy made it easier or harder for you to excel and advance. Yet economists had no way of factoring those influences into their thinking. As far as they were concerned, a job was a contract—an exchange of labor for money—and if you were unhappy you left. The nature of the workplace, where most people spent half their lives, was a black box. Anderson grew intellectually restless. Other ideas that were presented as cornerstones of economics, such as rational-choice theory, didn’t match the range of human behaviors that she was seeing in the wild. She liked how philosophy approached big problems that cut across various fields, but she was most excited by methods that she encountered in the history and the philosophy of science. Like philosophers, scientists chased Truth, but their theories were understood to be provisional—tools for resolving problems as they appeared, models valuable only to the extent that they explained and predicted what showed in experiments. A Newtonian model of motion had worked beautifully for a long time, but then people noticed bits of unaccountable data, and relativity emerged as a stronger theory. Couldn’t disciplines like philosophy work that way, too? The bank experience showed how you could be oppressed by hierarchy, working in an environment where you were neither free nor equal. But this implied that freedom and equality were bound together in some way beyond the basic state of being unenslaved, which was an unorthodox notion. Much social thought is rooted in the idea of a conflict between the two. If individuals exercise freedoms, conservatives like to say, some inequalities will naturally result. Those on the left basically agree—and thus allow constraints on personal freedom in order to reduce inequality. 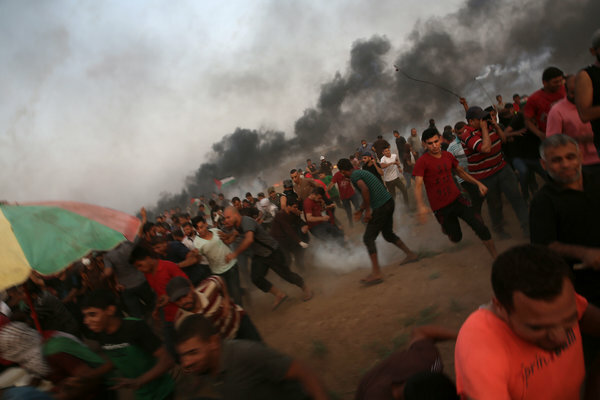 The philosopher Isaiah Berlin called the opposition between equality and freedom an “intrinsic, irremovable element in human life.” It is our fate as a society, he believed, to haggle toward a balance between them. In this respect, it might seem odd that, through history, equality and freedom have arrived together as ideals. What if they weren’t opposed, Anderson wondered, but, like the sugar-phosphate chains in DNA, interlaced in a structure that we might not yet understand? What if the way most of us think about the relation between equality and freedom—the very basis for the polarized, intractable political division of this moment—is wrong? At fifty-nine, Anderson is the chair of the University of Michigan’s department of philosophy and a champion of the view that equality and freedom are mutually dependent, enmeshed in changing conditions through time. Working at the intersection of moral and political philosophy, social science, and economics, she has become a leading theorist of democracy and social justice. She has built a case, elaborated across decades, that equality is the basis for a free society. Her work, drawing on real-world problems and information, has helped to redefine the way contemporary philosophy is done, leading what might be called the Michigan school of thought. Because she brings together ideas from both the left and the right to battle increasing inequality, Anderson may be the philosopher best suited to this awkward moment in American life. She builds a democratic frame for a society in which people come from different places and are predisposed to disagree. One recent autumn morning, Anderson flew from Ann Arbor, where she lives, to Columbus, to deliver a lecture at Ohio State University. With a bit of time before her talk, she sat in a high-backed chair and spoke with undergraduates about her work. “Almost everyone wants to be respected and esteemed by others, so how can you make that compatible with a society of equals?” she asked. The students, looking a touch wary, listened intently and stared. People who meet Anderson in the world often find that she is more approachable than they imagined an august philosopher to be. She is, she’d be the first to say, a klutz. Most days, she wears a colorful cotton blouse, hiking sneakers, and hard-wearing khakis that could bear a carabiner full of keys. “Liz doesn’t put on airs,” her friend Rebecca Eisenberg, a professor at the University of Michigan Law School, says. Dan Troyka, another friend, says, “She could be at a potluck as easily as at a philosophy symposium.” She talks on a dais the way she does to buddies over lunch—in a trumpety voice, flattened across mid-American vowels—and has only a nodding acquaintance with many decorums. A few friends felt unsettled when she was interviewed on cable news earlier this year; it was the first time they had ever seen her wearing makeup. In Ohio, she wore a loose black dress, trimmed in hot pink, over billowing pants and black flats. (“Feminists work to overcome the internal obstacles to choice—self-abnegation, lack of confidence, and low self-esteem—that women often face from internalizing norms of femininity,” Anderson, who holds a joint professorship in women’s studies, has written.) She crossed her right leg over her left and blinked as students formulated questions. She takes great pleasure in arranging information in useful forms; if she weren’t a philosopher, she thinks, she’d like to be a mapmaker, or a curator of archeological displays in museums. As the students listened, she sketched out the entry-level idea that one basic way to expand equality is by expanding the range of valued fields within a society. Unlike a hardscrabble peasant community of yore in which the only skill that anyone cared about might be agricultural prowess, a society with many valued arenas lets individuals who are good at art or storytelling or sports or making people laugh receive a bit of love. Anderson replied with a bright cackle of delight: Hah-hah-hah! Friends have noted that her laughter, like the autumn weather, comes in warm and chilly forms. There’s a staccato laugh of encouraging good humor (Hah!). There is, more ominously, a rough, guttural chuckle of declining barometric pressure (Hhhh-aahr-aahr-aahr), with which she introduces ideas she considers comically, dangerously bad. Addressing the student’s question, she posited endless innovation within general values. “Like, every society has music, and great musical performers always get esteem,” she said, extending her forearms in a teddy-bear position of embrace. A few years after her summer at the bank, Anderson was back in Cambridge, as a Harvard graduate student, studying political and moral philosophy under the mentorship of John Rawls. At a dinner party one evening, she was introduced to a former philosophy undergraduate named David Jacobi. He was smart, winsomely geeky, and uncommonly kind, and he had a thing for brainy women. They began dating. Jacobi wound up in medical school. Anderson wound up teaching at Michigan. She was touched when he requested a hospital near her, in Detroit, for his internship. Sometime after that, they got married, though neither recalls exactly when. They looked for a place to live near Jacobi’s job, and their criteria were simple: price, neighborhood, and space. As Anderson toured apartments, though, she noticed other forces in play. Greater Detroit was effectively segregated by race. Oak Park had middle-class white sections and middle-class black sections. In Southfield, a real-estate agent told her not to worry, because locals were “holding the line against blacks at 10 Mile Road.” Until then, Anderson had not thought seriously about race; she assumed that reasonable people treated it as undefining. Now she felt herself being swept, as a middle-class white woman, into a particular zone. To the extent that it constrained her options, it felt like an impingement on freedom. To the extent that it entrenched racial hierarchy, it seemed anti-egalitarian as well. As a rule, it’s easy to complain about inequality, hard to settle on the type of equality we want. Do we want things to be equal where we start in life or where we land? When inequalities arise, what are the knobs that we adjust to get things back on track? Individually, people are unequal in countless ways, and together they join groups that resist blending. How do you build up a society that allows for such variety without, as in the greater-Detroit real-estate market, turning difference into a constraint? How do you move from a basic model of egalitarian variety, in which everybody gets a crack at being a star at something, to figuring out how to respond to a complex one, where people, with different allotments of talent and virtue, get unequal starts, and often meet with different constraints along the way? To the disabled: Your defective native endowments or current disabilities, alas, make your life less worth living than the lives of normal people. . . . To the stupid and untalented: Unfortunately, other people don’t value what little you have to offer in the system of production. . . . Because of the misfortune that you were born so poorly endowed with talents, we productive ones will make it up to you: we’ll let you share in the bounty of what we have produced with our vastly superior and highly valued abilities. . . . To the ugly and socially awkward: . . . Maybe you won’t be such a loser in love once potential dates see how rich you are. By letting the lucky class go on reaping the market’s chancy rewards while asking others to concede inferior status in order to receive a drip-drip-drip of redistributive aid, these egalitarians were actually entrenching people’s status as superior or subordinate. Generations of bleeding-heart theorists had been doing the wolf’s work in shepherds’ dress. Anderson was born early, at three pounds six ounces, and stayed small through childhood, wearing toddler-size clothes into the second grade. “People tended to treat her as much younger than her real age and ability,” her mother, Eve, says. For years, she scarcely spoke; she had a lisp and seemed loath to reveal the imperfection. Eve recalls passing her bedroom and hearing her practicing her name repeatedly, E-liz-a-beth, trying to get it right. When she was three, her mother asked, “Why do you allow your brother to talk for you?”—why didn’t she speak for herself? “Until now, it simply was not necessary,” Elizabeth said. It was the first full sentence that she had ever uttered. The reading led to other interests. “Everyone had something to teach her,” Laura Grande, a childhood friend, says. “She wasn’t interested in parties, or in social gatherings that weren’t enlightening.” Anderson dreamed of studying math and economics, because she loved the way they hung together in a tight system. At one point, Olof and Elizabeth read Plato’s Republic and Mill’s “On Liberty” together. The world outside seemed untidy; she found peace in the stability of shared ideas. One Friday afternoon, Anderson sat with Kimberly Chuang, a soft-spoken twenty-nine-year-old who had just defended her dissertation, the final rite of passage before the Ph.D. Chuang had devised a model for “contributive justice,” determining what people owe society, rather than what society owes them: a frameshift with implications for taxation. At the defense, five professors prodded her with questions in the manner of a dental scaler scraping away plaque—an excavation that Chuang seemed to enjoy in proportion. They deliberated, then issued good news. “You’re a doctor!” Anderson said. Everybody stood up and applauded. Anderson had invented a “Ph.D. to lecturer” program at Michigan, to give new doctors a grace year to teach and to apply for jobs, and Chuang was to be the inaugural fellow. Still, Chuang blanched as they discussed the scope of her new obligations. She had four classes to help teach, and was supposed to give talks at a slew of international conferences. How should she prepare these audition-like presentations? Chuang knitted her brow. An esteemed philosopher at Oxford reads his talks, she said. Until then, Anderson had never really considered the role of gender in her career. She later learned that there were fewer women in academic philosophy than in either math or astrophysics, and a sense of the way inequality was built into that pipeline propelled her interest in feminist philosophy. 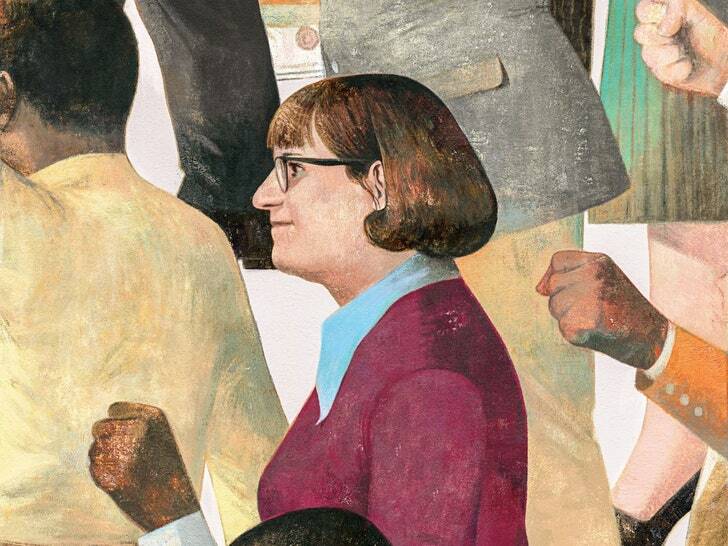 In 1993, she became the first woman in Michigan’s department to be tenured from within. Her first book, “Value in Ethics and Economics,” appeared that year, announcing one of her major projects: reconciling value (an amorphous ascription of worth that is a keystone of ethics and economics) with pluralism (the fact that people seem to value things in different ways). Philosophers have often assumed that pluralistic value reflects human fuzziness—we’re loose, we’re confused, and we mix rational thought with sentimental responses. Anderson proposed that, actually, pluralism of value wasn’t the fuzz but the thing itself. She offered an “expressive” theory: in her view, each person’s values could be various because they were socially expressed, and thus shaped by the range of contexts and relationships at play in a life. Instead of positing value as a basic, abstract quality across society (the way “utility” functioned for economists), she saw value as something determined by the details of an individual’s history. Like her idea of relational equality, this model resisted the temptation to flatten human variety toward a unifying standard. In doing so, it helped expand the realm of free and reasoned economic choice. Consider a couple who has worked for years to run a family restaurant and is offered a corporate buyout, worth more than they could earn by keeping it open. Traditional economists and many philosophers would say, Take the money! That would maximize value. Maybe you can use it to start a new restaurant. In Anderson’s expressive model, the couple might have a sound reason to refuse. “They did not work all those years to make millions for some brand-x corporation,” she wrote. “A concern for the narrative unity of their lives, for what meaning their present choices make of their past actions, could rationally motivate them to turn down the offer.” The value of that narrative unity was beyond the reach of the market: for that couple, no price was the right price. In this sense, “Value in Ethics and Economics” was partly about reclaiming moral authority from the cold-eyed neoclassical economists who guided policy in the eighties and nineties. Anderson’s model unseated the premises of rational-choice theory, in which individuals invariably make utility-maximizing decisions, occasionally in heartless-seeming ways. It ran with, rather than against, moral intuition. Because values were plural, it was perfectly rational to choose to spend evenings with your family, say, and have guilt toward the people you left in the lurch at work. Shortly after arriving at Michigan, she had been struck by the work of a law-school colleague, Don Herzog, which incorporated a turn-of-the-century school of American thought called pragmatism. To a pragmatist, “truth” is an instrumental and contingent state; a claim is true for now if, by all tests, it works for now. This approach, and the friendship that had borne it, enriched Anderson’s work. Herzog has offered notes on almost everything she has published in the past three decades. In 2004, the Stanford Encyclopedia of Philosophy asked Anderson to compose its entry on the moral philosophy of John Dewey, who helped carry pragmatist methods into the social realm. Dewey had an idea of democracy as a system of good habits that began in civil life. 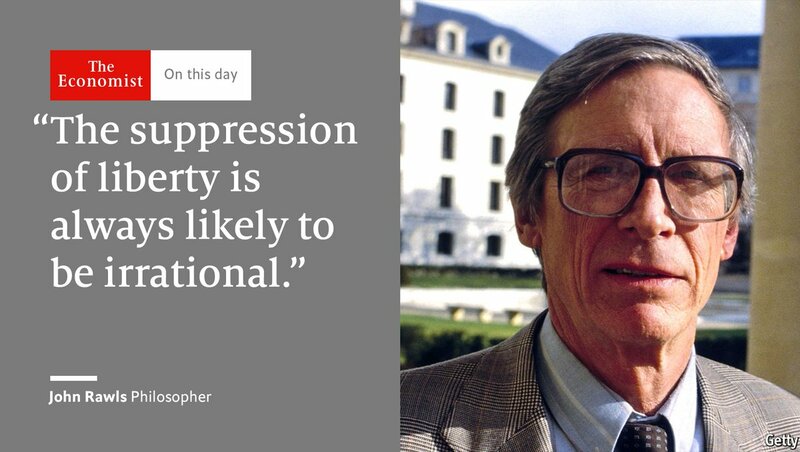 He was an anti-ideologue with an eye for pluralism. Anderson was quickly smitten. In 2013, when she was elevated to Michigan’s highest professorship and got to name her chair—a kind of academic spirit animal—she styled herself the John Dewey Distinguished University Professor. “Dewey argued that the primary problems for ethics in the modern world concerned the ways society ought to be organized, rather than personal decisions of the individual,” Anderson wrote in her Stanford Encyclopedia entry. As she turned to problems in her work and her life, his thought became a crucial guide. Anderson and her husband went to lunch at Zingerman’s, a deli restaurant in downtown Ann Arbor. It was a warm weekend, and Anderson, who had just come from a walk of a few thousand steps in the arboretum, ordered peaches with jalapeño dressing and a bowl of gazpacho. Jacobi, who had come from a four-mile jog, got a brisket sandwich, fruit salad, and a Dr. Brown’s black-cherry soda. “I should never come here after running,” he told the woman at the counter. (He often strikes up small, self-revealing conversations with people at registers.) Outside, they found a table in the shade. Anderson sat, and Jacobi put an arm around her. “I’ve got my love puppy,” Anderson said. He stiffened indignantly. “Your love dog,” he said. Posted in Critical Thinking, Economics, Intellectual Development, New Yorker, Philosophy, Research. The stories Hesse tells appeal to young people, because they keep faith with the powerful emotions of adolescence, which most adults forget or outgrow. Hesse struggled to reconcile life’s responsibilities and his success with the solitary purity that he celebrated in fiction. It has to be said, there are no points to be won from liking Hesse nowadays.” This rueful assessment of the novelist Hermann Hesse, quoted in the opening pages of Gunnar Decker’s new biography, “Hesse: The Wanderer and His Shadow” (Harvard), appeared in an obituary in 1962; but it could just as well have been pronounced yesterday, or a hundred years ago. Ever since he published his first novel, in 1904, Hesse has been one of those odd writers who manage to be at the same time canonical—in 1946, he won the Nobel Prize in Literature—and almost perpetually unfashionable among critics. The great German modernists who were his contemporaries mostly disdained him: “A little man,” according to the poet Gottfried Benn; “He displays the foibles of a greater writer than he actually is,” the novelist Robert Musil said. In America today, Hesse is usually regarded by highbrows as a writer for adolescents. Liking him is a good sign at age fifteen, a bad one by age twenty. Many young men, in particular, see a glamorous reflection of themselves in the typical Hesse hero—a sensitive, brooding man who cannot find a place for himself in ordinary society. This figure might live in India in the age of the Buddha, like Siddhartha, or in Germany in the Jazz Age, like Harry Haller, or in the Middle Ages, like Goldmund in “Narcissus and Goldmund.” Whatever the setting, his path will generally feature the same landmarks. He will be plucked out of his childhood surroundings and sent to an élite school, where he will suffer deeply. He will rebel against conventional ideas of success and refuse to pursue any kind of career, combining downward mobility with spiritual striving. Often, like Peter Camenzind, he will turn to drink, regarding alcoholism as a kind of noble infirmity. “The god of wine loves me and tempts me to drink only when his spirit and mine enter into friendly dialogue,” Peter says. Without really wanting to at all, they pay calls and carry on conversations, sit out their hours at desks and on office chairs; and it is all compulsory, mechanical and against the grain, and it could all be done or left undone just as well by machines; and indeed it is this never-ceasing machinery that prevents their being, like me, the critics of their own lives and recognizing the stupidity and shallowness, the hopeless tragedy and waste of the lives they lead. Decker’s biography shows that Hesse’s life was an uneasy compromise between his spiritual absolutism, which pushed him in the direction of irascible isolation, and his human needs, which encumbered him with wives, children, and houses that he never quite wanted or accepted. Married three times, he was unhappy as a husband and as a father, and the characters in his books mostly shun both roles. His last novel, “The Glass Bead Game,” is a futuristic fantasy about an academy of scholars who are all male, and all single. It is not surprising that Hesse would remain attuned to adolescence, since his teen-age years, in the eighteen-nineties, were the most dramatic and consequential period of his life. It was then that Hesse was first forced to confront the entire weight of the institutions ranged against him—family, church, school, society—and do battle with them in the name of defending his individuality. He won, but not without sustaining deep wounds; in a sense, his fiction is a series of reënactments of this primal struggle. From a very young age, it was clear that there was a mismatch between Hesse and his family. He was born in 1877, in Calw, a small town in the Black Forest, in southwest Germany, where his father and grandfather worked together in a Christian publishing house. On both sides, he was descended from devout Pietists—members of a German Protestant sect that, like the Methodists in England, rejected the established church in favor of a fervently inward, evangelical striving for virtue. In Decker’s words, Pietism “regarded as the devil’s work everything that did not serve the ultimate purpose of preparing one for the kingdom of God in the hereafter.” When it came to child-rearing, this conviction translated, at least in the Hesse family, into a concerted effort to break the young Hermann’s will, to teach him the docility and submissiveness that God demanded. Yet in Hermann this religious force met an immovable object. “I was the child of pious parents, whom I loved tenderly and would have done even more so had they not made me aware from a very early age of the Fourth Commandment. Unfortunately commandments have always had a catastrophic effect on me,” Hesse recalled in an autobiographical sketch. Compelled to honor his father and mother, he instinctively refused. In one incident recorded in his mother’s diary, the three-year-old Hesse put an iron nail in his mouth, and, when he was told he could die if he swallowed it, he stubbornly replied, “I don’t care! If I die and go to my grave, I’ll just take a couple of picture-books with me!” Some years later, his father contemplated sending him away “to an institution or to be raised by another family.” For his part, Hesse recalled that, as a child, he would dream of setting the family’s house on fire and of murdering his father. These tensions boiled over in 1891, when the fourteen-year-old Hesse enrolled in Maulbronn Monastery, an élite state-run boarding school housed in a medieval abbey; its mission was to recruit the region’s brightest boys and turn them into Lutheran ministers. 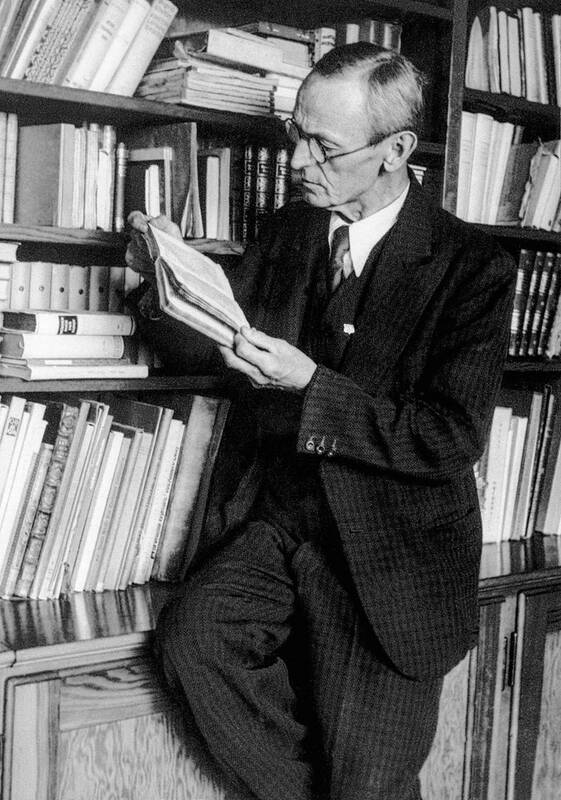 Getting into Maulbronn required passing a gruelling examination, an experience that marked Hesse so deeply that he returned to it in several novels. Indeed, many of his books are not just novels of education—the Bildungsroman that had been a classic genre in European literature since Goethe—but specifically novels of schooling. Each of the dormitories at Maulbronn, for instance, had a grandiose name; Hesse lived in Hellas, a tribute to the school’s conventional idolatry of ancient Greece. Fifteen years later, when he came to fictionalize his school days in the novel “Beneath the Wheel,” the main character goes to just such a school and lives in a dormitory called Hellas. And thirty-seven years after that, in “The Glass Bead Game,” Hesse told the story of Joseph Knecht, who once again lives in a dormitory called Hellas. Hesse avoided Hans Giebenrath’s fate, but only barely. In March, 1892, he ran away from Maulbronn and was reported missing. He returned after just a day and, as Decker writes, truancy hardly sounds like an unprecedented crime for a fourteen-year-old. But the reaction from school and family was extreme. It speaks volumes about his parents’ religious sensibility, for instance, that his mother’s response to the news of his disappearance was to hope that he was dead: “I was very relieved when I finally got the feeling . . . that he was in God’s merciful hands,” she wrote in her diary. After several months, Hesse was released on a trial basis, and he was able to attend a local high school. But the damage to his relationship with his parents was permanent: when his mother died, in 1902, he refused to attend the funeral. And the damage to his career seemed equally irreparable. At Maulbronn, he was on a fast track to a prestigious and secure job as a minister or a teacher. Now college was out of the question, and Hesse became an apprentice to a bookseller. To his parents—often, surely, to himself—it must have looked as if he had failed for good. But Hesse’s genius was to embrace this failure and make it his inspiration. “In the beginning was the myth” is the first sentence of “Peter Camenzind,” the book that rescued Hesse from poverty and obscurity; and many of his books are retellings of the same myth, one that Hesse devised to interpret his own unhappy existence. Indeed, Hesse’s novels are best understood as successive versions of a spiritual autobiography—a form that, ironically, was a staple of Pietist literature. “The only way I can conceive” of writing, Hesse once said, is “as an act of confession”—a statement that could have been endorsed by his paternal grandfather, a doctor who left behind a memoir in two volumes. Indeed, in rebelling against his Pietist upbringing, Hesse ended up recapitulating its central themes: he never lost the habit of rigorous self-examination or his feelings of unworthiness and his longing for an experience of the divine. The difference was that he could not imagine finding that experience within Pietism. “If I had grown up in a respectable religious tradition, for example as a Catholic, I would probably have stuck to the faith throughout my life,” he explained wryly. Instead, he was driven to look for spiritual wisdom in other traditions, always admiring figures who seemed to defy dogma and doctrine. Francis of Assisi was an early inspiration: Hesse wrote a short biography of the saint who preached to the animals and spoke of the sun and the moon as his brother and sister. He soon found himself looking farther afield—especially to the East, to the religious traditions of India. This, too, was a kind of atavism—his maternal grandfather, a missionary, had spent many years in India, and his mother had partly grown up there. But, while they went to spread a Christian faith they knew was the true one, Hesse went as a seeker. In 1911, he made an impulsive journey to Ceylon and Singapore, which proved disappointing at the time—he could not get used to the climate—but laid the groundwork for his later book “Journey to the East,” which imagines a spiritual secret society that includes the great minds of Europe and Asia. The book that connects Hesse with India for most readers, of course, is “Siddhartha.” Published in 1922, in the wake of a world war that had destroyed and discredited European civilization, “Siddhartha” takes refuge in a distant place and time—India in the age of the Buddha, in the fifth century B.C. In this short book, Hesse boils down his archetypal story to its mythic core. Once again, we meet a sensitive, gifted young man—Siddhartha, the son of a Brahman priest—who rejects his family, its religion, and its aspirations, and sets out to discover the truth for himself. And when Siddhartha listened attentively to this river, to this thousand-voiced song, when he listened neither for the sorrow nor for the laughter, when he did not attach his soul to any one voice and enter into it with his ego but rather heard all of them, heard the whole, the oneness—then the great song of the thousand voices consisted only of a single word: Om, perfection. Hesse’s emphasis on self-reliance, with its echoes of Emerson—another writer fascinated by Eastern religions—helped to make him a trusted guide for a generation of readers whose faith in institutions was destroyed by the First World War. 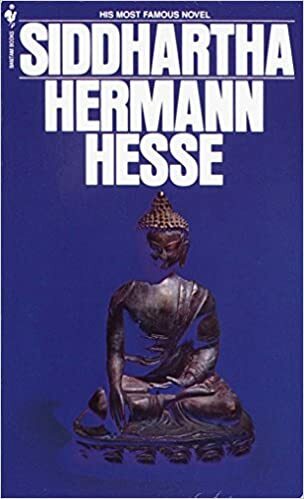 Indeed, Hesse’s reputation as a sage rests mainly on the books he wrote after the war—starting with “Demian,” in 1919, and continuing through “Siddhartha” and “Steppenwolf,” in the nineteen-twenties. Although Hesse was a German subject, he was a resident of Switzerland—he lived there on and off during his early life, and permanently starting in 1912—and he viewed the war fever that infected Germany from an ironic distance. (He nonetheless volunteered for the German Army, but was rejected because of his weak vision, the result of a childhood fireworks accident.) Early in the war, Hesse published an essay in which, while he still expressed hope for a German victory, he insisted on the need to preserve humane values and communication between nations. “This disastrous world war should serve to drum into us more insistently than ever the realization that love is better than hate,” he wrote. Even so mild an avowal earned Hesse the permanent hostility of many Germans. For the rest of his life, he would be attacked by incensed nationalists, both in the press and in regular deliveries of hate mail. By the same token, in the nineteen-thirties Hesse’s hostility to Hitler was automatic. Nazism, with its blood sacrifice of the individual to the state and the race, represented the opposite of everything he believed in. In March, 1933, seven weeks after Hitler took power, Hesse wrote to a correspondent in Germany, “It is the duty of spiritual types to stand alongside the spirit and not to sing along when the people start belting out the patriotic songs their leaders have ordered them to sing.” Still, while he hosted and helped many émigré writers—including Thomas Mann, a good friend—Hesse never threw himself into anti-Nazi politics. Decker points out that, in the nineteen-thirties, he made a quiet statement of resistance by reviewing and publicizing the work of banned Jewish authors, including Kafka. But, tellingly, his own books were not banned by the Nazis until 1943. This attitude to politics and history is characteristic of what Hegel called “the beautiful soul”—one who remains unstained by the world because he declines to engage with it. The phrase was invented by Goethe, who used it in his “Confessions of a Beautiful Soul,” a fictional memoir in which a Pietist noblewoman describes her spiritual life. Hesse, by analogy, might be called an ugly soul, one who is so occupied with his own spiritual distempers that the outside world barely makes an impression. Posted in Book Review, Character and Integrity, Critical Thinking, Freedom, Literature, New Yorker, Philosophy, Religion and Humanity. Posted in Book Review, Ethics, Philosophy, The New York Times.